The couple met in 1980 on the movie set of Caveman, and have enjoyed an enduring love ever since. The auction celebrates their lives together and consists of musical instruments including drums and guitars, career memorabilia from the Beatles era and Ringo’s solo career including his All-Starr Band, fine antiques and custom-made eclectic furnishings, as well as fine art and personal items. 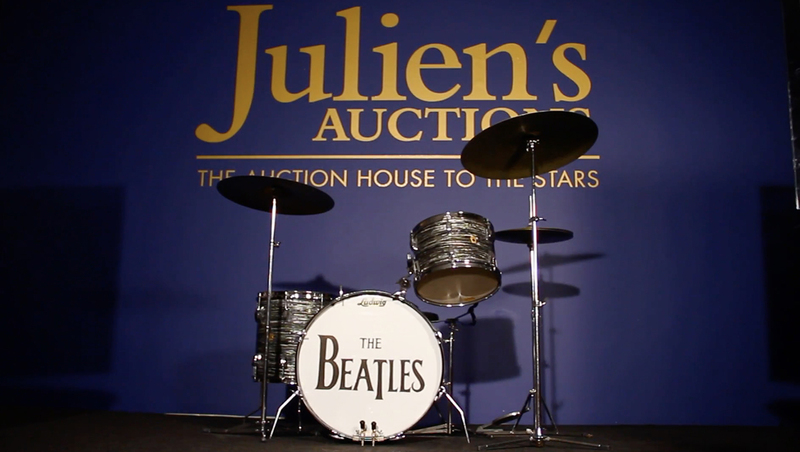 Highlights from this historic auction include seven of Starr’s stage and studio used drum kits: Starr’s first Ludwig Oyster Black Pearl drum kit used to record some of The Beatles biggest early hits and used by Paul McCartney on his album McCartney; the custom built Jumbo Silver Sparkle kit used in the “Hello, Goodbye” film from 1967; the Ludwig Silver Sparkle kit used on Starr’s inaugural Ringo Starr and His All-Starr Band tour; a kit of toms commissioned for Starr by George Harrison; among others. Also included are instruments gifted to Starr by bandmates and friends: a George Harrison Gretsch guitar, John Lennon’s “Beatle Backer,” and a Gibson Les Paul from Marc Bolan. Portions of the auction proceeds of the Property from the Life and Careers of Ringo Starr and Barbara Bach will benefit The Lotus Foundation, a charity founded by Starr and Bach. 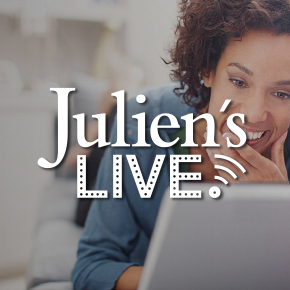 The Lotus Foundation is an organization which assists with a wide range of worthy causes around the world, focusing primarily on family and child welfare, women’s issues, addiction recovery and education.